It seems like the board is real active right now and everyone is excited about the starting of the season. So am I. My name is Hugh Hartsell and I'm from Morristown, Tn. and I've been observing the board for at least two years. I've been involved in growing ginseng for a few years and I have a few friends scattered around East Tn. that are old veterans. 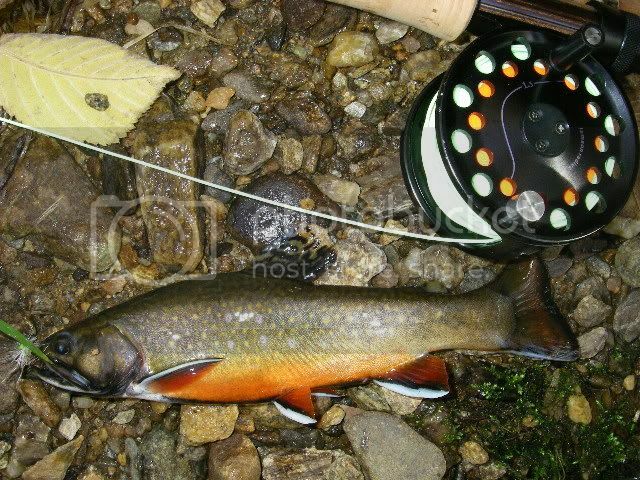 Like Billy says, \"It's addictive.\" Most of my outings are for trout fishing, but it takes me into many of the same places that ginseng grows. When I'm out guiding I always have my eye out for possible ginseng plants. I hope to run into some of you sometime and I hope you all have a great season. Welcome to the forum Hugh. Welcome Hugh, always good to hear from a fellow Tennessean. Welcome to this forum Hugh, I haven't had a chance to meet you in person, but my good buddy Phil Snapp has fished with you a time or two, and I truly enjoy reading your website and the post you make over on little river outfitters forum. my name on there is Rodonthefly. I do some guideing down on the Clinch, to make a little extra money. You should have some good areas up there around the Holston to do some good diggin'. Anyways welcome to the site, I'm sure you'll learn alot here. Good luck this year digging and be safe. Maybe we could get together and go sometime. Welcome to the forum! What website do you have? Fellows, Thanks for the welcome from all of you. I am really enjoying the site and the many post from people in Ginseng growing areas. First of all, as a site owner and administrator, I would like to welcome you and love to have you as an active member. Thanks and enjoy the season folks! From one fly fisherman/sang hunter to another! I've enjoyed your website many times. I've looked closely at many of your ties, and enjoy looking at your skills at the vice.